AUCKLAND, 17 February 2017 - Jerry Clayton BMW, the longstanding BMW dealership on Auckland’s North Shore, has changed its name to Continental Cars BMW. The move was announced by Pat McKenna, Managing Director of Sime Darby Motors New Zealand and Australia, the business’s parent company.McKenna commented that the renaming “brings Jerry Clayton BMW into alignment with the Group’s NZ prestige car strategy, which is built upon the strength and future development of the Continental Cars’ brand”. The Group also has Audi, Porsche, Volkswagen and Ferrari dealerships in Auckland under the Continental Cars’ banner, as well as the City Nissan operation in Takapuna. Steve Beaumont, General Manager of the Sime Darby NZ Retail Group, says “We will be investing heavily in the Continental Cars’ brand, both in terms of customer service initiatives and retail site development, over the next few years. 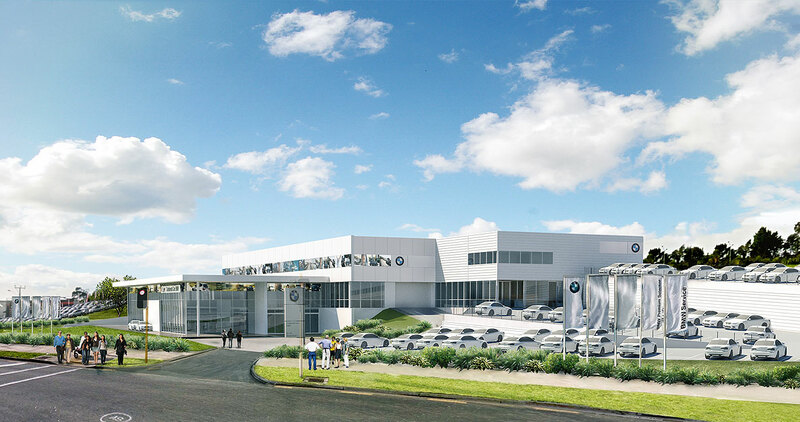 An important part of this investment will be in the construction of a new, state-of-the-art, flagship BMW dealership on Wairau Road to replace the current Takapuna operation. Work is already underway on what will be the largest BMW dealership in the country and feature the new BMW Future Retail initiative, including dedicated showroom areas for M Sport and electric vehicles. The scale of this development is a reflection of Sime Darby’s commitment to its international partnership with BMW”. The re-branding coincides with the 50th Anniversary of Continental Cars, which was established in 1967 by the late Tim Bailey. Beaumont advises that “There are a significant number of celebrations and promotions for both clients and staff planned this year to mark this significant milestone”.